Our research shows that the vast majority of plan sponsors recognize that automatic enrollment has been effective in improving plan success and simplifying internal plan administration. Could automatic enrollment’s success be improved upon? 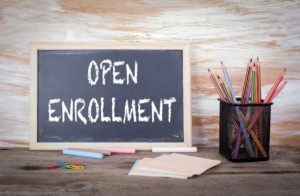 When automatic enrollment first began gaining popularity, about 20 years ago, its typical design served a number of purposes. It improved plan enrollment and made for more efficient administration (no more “herding the cats” every year during open enrollment periods). For the majority of plans it was applied to new employees only (so plan sponsors could assess their comfort level), and it started participants saving a minimum of 3 percent of pay. Today, about two-thirds of the largest employers and many smaller plans have embraced automatic enrollment¹. Is There a Problem with Auto Enrollment? Interestingly, we have seen some negative press concerning auto enrollment. Typically, it criticizes that automatic enrollment has actually brought down the average participant deferral percentage. Can this be true? Yes, increasing the overall enrollment has been achieved, but to the decrement of average deferral percentage. This is not an indictment of auto enrollment as much as it is based on the fact that when average participant deferral percentages nationwide are (approximately) 6 percent, and when you enroll a growing number of participants at 3 percent, the average deferral percentage decreases. Simple math, right? So let’s begin here, is the 3 percent start point the right number? Probably not. Granted some participants may be comfortable with a 3 percent deferral, but for most, the savings rate advisors suggest over an entire career is above 10 percent of salary annually. This savings rate may be shocking to some, but it is well established to be in the 12 to 14 percent range over an entire career. We find that many participants believe (or perhaps prefer to believe) that if their employer is “suggesting” a 3 percent deferral, that must be the right number for retirement savings. Upon a participant learning the reality, do we expect that most employees will increase their deferral to 10 percent? We do not. There are two solutions that concerned plan sponsors may employ. The first is increasing the auto enrollment deferral from 3 percent to the average deferral of 6 percent. Including an average employer match (2 percent–3 percent), this brings the total contribution percentage close to 10 percent. Interestingly, our studies show that the “stick” rate with a 6 percent default is largely identical to 3 percent. There is another companion solution that can be quite successful. Auto deferral increase has justifiably become an increasingly utilized option. Unless participants opt out or freeze at any deferral level, their deferral percentage automatically increases at the rate of 1 percent or 2 percent annually up to a pre-determined stated maximum. Auto increase mitigates the resistance of most participants jumping from 3 percent to 10 percent. The 1 percent or 2 percent annual increase is pretax, so the impact on take home pay is not very substantial, but clearly benefits retirement savings. Do All Your Eligible Employees have the Benefit of Auto Enrollment? Now, let’s consider the concept of renewable auto enrollment. Many of those participants who were auto enrolled years ago and are approaching retirement are probably very pleased and thankful they were auto enrolled. Many employees have confided that they may have not saved this money without auto enrollment. What about those employees who were hired prior to and therefore have not benefited from auto enrollment? Some plan sponsors identified this as a corporate philosophical conundrum. It also may be true that, at point of hire, many participants may be less confident in allowing deferral withdrawals from their pay. They may not feel sufficiently secure yet with a new employer, or they may not be comfortable with a salary deduction due to other factors. Certainly, changes in financial status and the ability and desire to save for retirement may be taking place among those participants who previously opted out of participation. It is disappointing that, for some reason, only a small portion of plan sponsors who initiated auto enrollment for new employees may go back to pre-existing employees to offer auto enrollment. A solution for this may be re-auto enrolling all those participants not currently deferring. Any participant can still simply opt out, just as upon hire, but some may be in a more secure position to begin saving at this point. This option has become popular among many plans. A practical definition of a successful retirement plan can include a high percentage of eligible employees actively participating at an appropriate average deferral percentage. A successful plan is one in which participants are optimizing their retirement readiness. We believe that most participants want more of a do-it-for-me approach taken by their employer based on layered auto features. The reality is that most employees are not interested in becoming knowledgeable investors. Adopting auto-enrollment for all employees on a recurring basis, including auto-deferral escalation at 1 percent or 2 percent, can lead to a plan that optimizes success for participants and plan sponsors. Do You Send Participant Notices via Email? Should You?